The past couple of weeks we’ve considered the extremes illustrated in the Psalm. The distance between heaven and earth as an illustration of how great God’s mercy is. And the distance between east and west, an illustration of how far God has removed our sin from us. 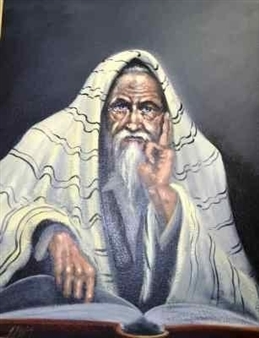 There was this old rabbi who had been serving his congregation at the synagogue in Cana for nearly 30 years. Every week he conducted worship on the Sabbath. He had started a school to teach the children to read and write, and to learn and obey the Law and the Prophets. And he loved music—he loved to sing (and to teach) the Psalms. A couple of years back, a young Rabbi came through and spoke—he had such authority, and he even healed some people in his congregation. There had been talk he may have been Messiah, but then he got entangled with the Pharisees and the Romans down in Jerusalem, and a few months ago, He was crucified. Well, life goes on, and so does the Sabbath. One Sabbath service they were singing Psalm 103, and he decided to teach on part of it. He opened the scroll and read: For as high as the heavens are above the earth, so great is His lovingkindness toward those who fear Him. And to make the point, He raised his arm, pointing to the Heavens, then slowly lowered it down to the earth. 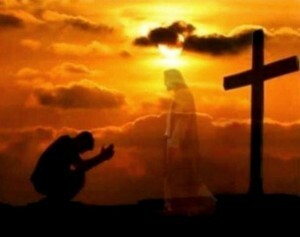 Then he read the next passage: As far as the east is from the west, so far has He removed our transgressions from us. And to make his point again, he raised him arm, and traced a line from east to west. And then he froze. For he just realized, he had traced a cross. A cross where heaven’s mercy came down to earth; a cross which removed our sins. The cross of Jesus. And as he stood there frozen, his hand still pointing to the west, he realized Yeshua was Messiah. And so he must teach his congregation. Like I said, this is just an illustration, a little story. But take your hand, and trace the line of lovingkindness from heaven to earth. Then trace the line of sins removed, from east to west. You just traced the cross of Christ. This entry was posted in All Entries, Psalms and tagged Rabbi, Story, Trace on July 1, 2015 by Steven Davis.